Those of you who are familiar with my Mary O’Reilly Paranormal Mystery series know that Mary O’Reilly can see and communicate with ghosts. There is no guesswork in her communication, they talk – she hears. But, unfortunately, most of us don’t have that ability to communicate with the folks on the other side of the veil so clearly. Even Amy Adams, from The Dead Files will sometimes have trouble understanding what the dead are trying to say to her. There are talented mediums who often communicate with the dead and help them on their way. But, even with the most talented, communication is not always straightforward. Why am I writing about all of this? I’m so glad you asked! 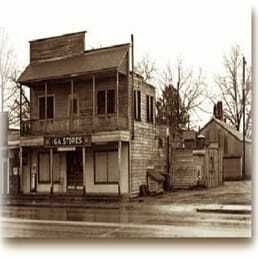 Years ago, when I was collecting true ghost stories, a family approached me at the end of a presentation I was giving. They were an average middle-class family. He was wearing a jacket with the logo of a local factory and she taught school. Their children, a boy and a girl, were about 10 and 12 respectively. They explained that they had a ghost in their house. Here’s how I told the story years ago: “After the program was concluded, a family of four approached me. They had sat quietly in the back of the room for the entire program and hadn’t offered to share anything, so I thought that they were just there to listen. I found out that I was wrong. “We hear noises at night when we’re all sitting in the living room,” the mother added. The fear, the intensity in their voices, was real. This family was sharing a house with a ghost. I wondered why they just didn’t leave. Or why they didn’t do something about it. Then the mother continued. Just to expand a little, the mom told me that she would go into her daughter’s bedroom during the day. 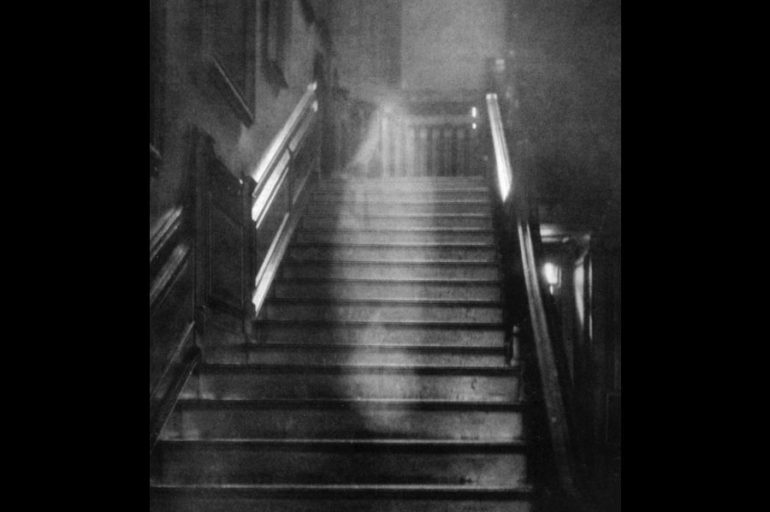 She would stand at the foot of the bed and just conversationally reach out to the ghost. She explained that having the ghost enter the bedroom and stroke her daughter’s hair frightened the child. She told the ghost that it needed to stop doing that. And, the ghost complied. I imagine that the ghost was drawn to the little girl. Perhaps the ghost was a mother or a grandmother who, at one time, had a daughter or granddaughter who was similar to the little girl. Perhaps the ghost didn’t even consider her actions would be perceived as frightening, she was trying to offer comfort or trying to soothe the child after a long day. All their needed to be was some communication. I recently saw a hysterical youtube video about a couple who are being haunted. They hook up a camera in their bedroom and let it record their night. We witness, through the camera lens, lots of paranormal activity. But we can also see that the “ghost filter” has been turned off. After viewing the footage, the couple rewinds the camera and turns the “ghost filter” on and we can see an apologetic and bumbling ghost tripping around the room while trying to get something from the closet. Not scary at all. But, because it’s unknown, we react out of fear. On a Facebook paranormal discussion group, a woman posted a photo of a kitchen with all of the drawers and cabinets opened. She explained that her daughter gets up every morning to this scene, even though she closes everything tightly the night before. The suggestions from the other members of the group ranged from burning sage to calling in professionals to rid the house of the entity. I suggested that she have her daughter go into the kitchen before she goes to bed, and talk out loud to the ghosts, explaining that opening the cabinets and drawers are freaking her out and it really needs to stop doing it. I did add a caveat that if she felt like there was something evil in her home, talking might not work. But if she just felt spooked – not bad – she should really just try and communicate. If the ghost is anything like me, it’s probably still looking for the little bottle of vanilla extract that I put somewhere in the kitchen. The wood box is sealed with wax, so he uses a knife, breaks the seal and opens the box. Suddenly, the EMF detector is no longer sensing energy from within the box. Suddenly, we hear knocking on the walls all around this investigator. And then a picture crashes to the floor. Our “brilliant hero” is shocked, stunned, and scared! We last see him in his car, recording his retreat to his brother’s house to spend the night. 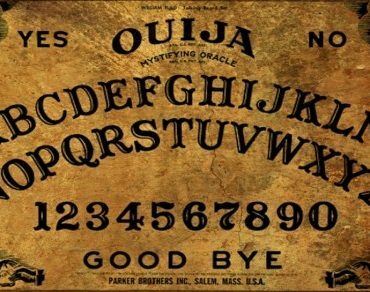 As we talked about last week with Ouija boards, dealing with the supernatural is not a parlor game. Of course, we all enjoy telling ghost stories. (I REALLY love telling ghost stories.) But when you start to deal with these entities for real, in your lives, you need to realize that this is not something we should be playing with. Don’t invite things in – whether through Ouija boards, seances, wax-covered demon boxes or anything else that has power to create a portal into your home. You can’t see what you’re inviting in and you generally don’t understand the power and intention of most of the things you would be interacting with. I’ve seen Amy Adams frightened when she’s walked through a home, and it’s generally when someone, sometime, opened up a doorway or portal into the place she’s investigating. It seems that personal paranormal investigations are becoming more and more popular. And the television shows (some of whom do just the opposite of what I’m suggesting) are becoming more frequent on television and youtube. Protect yourself. Protect your loved ones. Don’t play with fire. And, if you ask a spirit box if the spirit in the room wants to hurt people and the answer is yes. Walk away – quickly – and don’t look back! Thank you, Mary O’Maley, for your comment! I’m in awe of your talent and it sounds like you do it right!! !